Riding Cadwell on a bike as revvy as a 2017 R6 takes a lot of concentration and constant use of the factory OE quickshifter. Keep notching gears down the start/finish straight. Either hit the limiter in fourth or hook fifth before Coppice. Back to third for Coppice and let the engine do the braking with just a brush of front brake. Accelerate up the hill, slow for Charlies one and drive over the rise into Charlies two. Brake, go back to second, get the revs singing before Park Straight. The end of Park straight sees you rev to the limiter in fourth. Heavy on the brakes in Park and back to second gear, let the slipper clutch take over and tap back the gears as fast as you can. Short-shift to third for Chris Curve and drive all the way around, again to the limiter. Back to second or third for the Gooseneck and drive hard down the hill and back to first for Mansfield. Again, let the slipper clutch control the rear. Quick-shift to second then back to first for the chicane, you can take the chicane in second but it feels lazy at the exit. At the bottom of the Mountain back to second, take the rise in second and hold second through Hall Bends to the Hairpin. Back to first for the hairpin, up to second for Barn, work on the exit, and get ready for another roller-coaster ride. The Pirellis have lasted 3686 miles, they didn’t need replacing and they still had plenty of life left in them, but I wanted something with more grip for the track. They’ve worn evenly, and haven’t squared off despite the high motorways miles. They warm up quickly, offer great feedback and they’re good in the wet. 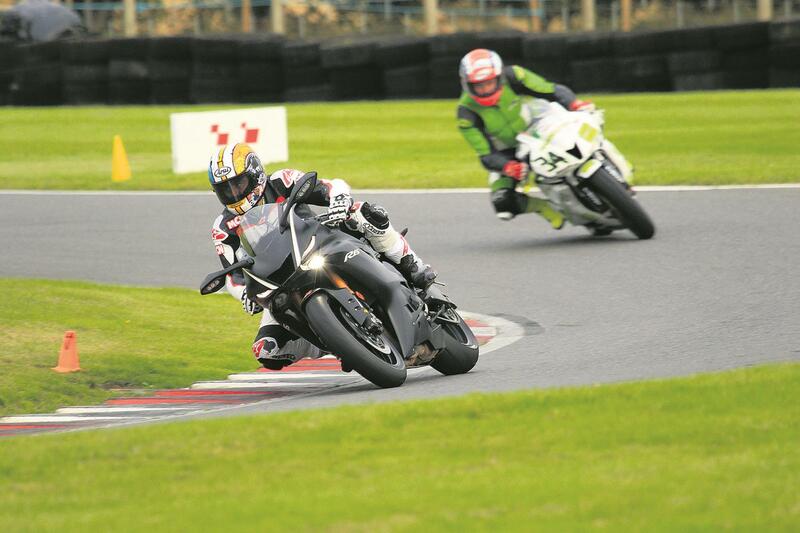 The road-legal Metzelers are hugely impressive on track, they warm up quickly and offer great feedback. They are almost as good as a true race tyre – when it comes to grip and stability. I’ve done 400 road miles so far and all in the dry. I’ve heard good things about longevity, but let’s see how long these track tyres last on the road. We booked our trackday msvtrackdays.com who offer great-value days.